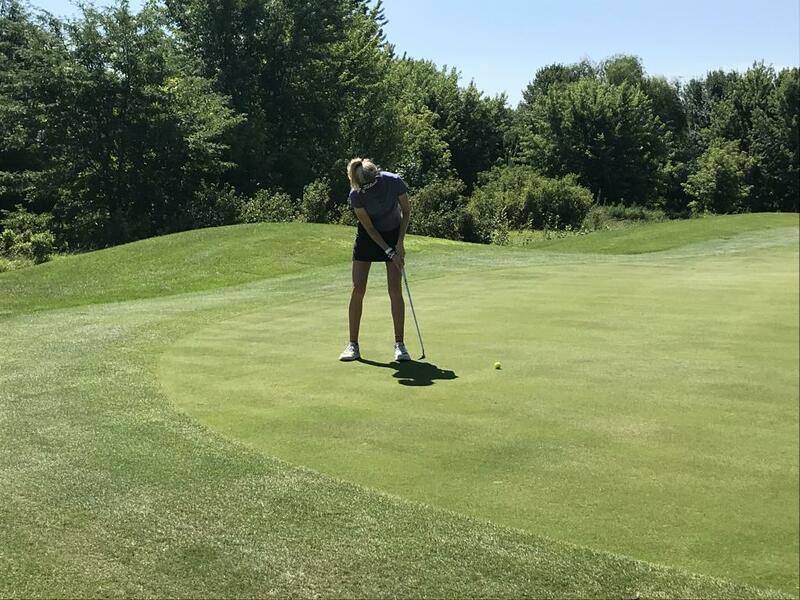 Ankeny, Iowa--The Iowa PGA hosted the first day of the Mid-Summer Classic 18 Hole Division today at Briarwood Club in Ankeny. The two-day event will conclude tomorrow at Otter Creek Golf Course. This is a Major Point event on the Junior Tour. Tyler Vaske leads the boys 16-18 age division, with an even score after round one. Vaske leads a five-way tie for second place between Ben Meyer, John Boettcher, Kyle Linder, Eric Ossian, and Carter Clayberg, all shooting 2-over par. Hunter Johnson has a 5-stroke lead in first place in the boys 14-15 age division, shooting even on day one. Jackson Starr sits 5-over par in second, while Jack Moody is 6-over par in third place. Evan Smith leads the boys 12-13 age division, shooting 13-over par for day 1 of the Mid-Summer Classic. Gabe Kramer currently is in second place, shooting 21-over par. Tate Berns sits 4-strokes behind Kramer in third place. Paige Hoffman leads the girls 16-18 division, shooting 1-over par for day 1 of competition. Jenna Krogulski shot 9-over par, while Molly Carey shot 12-over to sit in third place. Rylee Heryford is 10-over par to lead the girls 14-15 age division. Kylie Carey sits 1-stroke behind Herford in second place. Jin Gou currently is in third place, at 14-over par. The Mid-Summer Classic 18 Hole Division will begin at 7:30 a.m. tomorrow at Otter Creek Golf Course. Updates will be provided at iowapgajuniorgolf.com. Click here for round 2 pairings.